As during the First World War, American University (AU) offered its facilities again to the government upon entering World War II. The campus was used by a variety of military groups including WAVES, SPARS, the Red Cross, the Armed Forces Institute, the Chesapeake and Potomac Communications School, the Navy Communications School, and the Navy Bomb Disposal School. 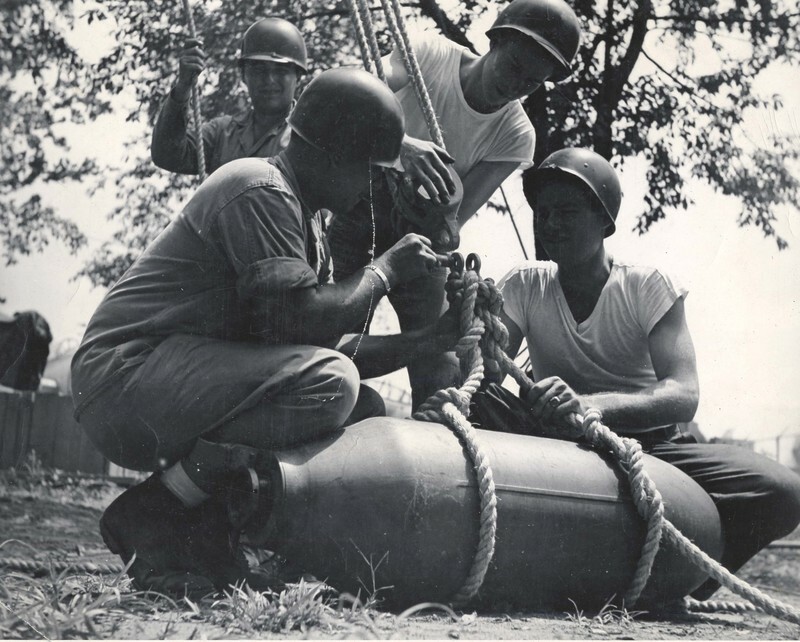 The Bomb Disposal School was established to train men to disarm bombs. Over 1,000 men graduated from the school. The original bomb disposal school was located in downtown D.C. at the Navy Yard, and had only graduated four classes of soldiers before changing locations. The move to American University’s campus took place in the summer of 1942, where five acres with ten buildings were rented out for $5,000 per year. 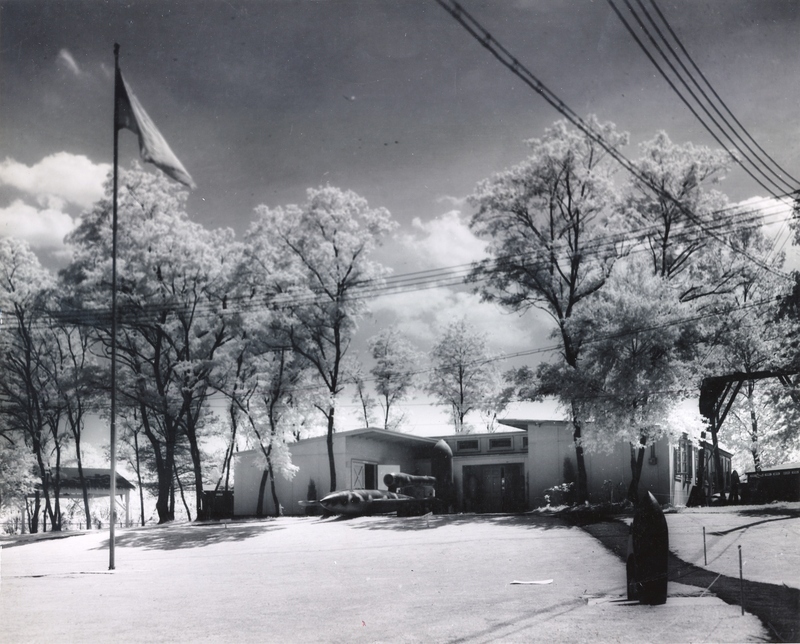 The school was located on campus from 1942-1945. 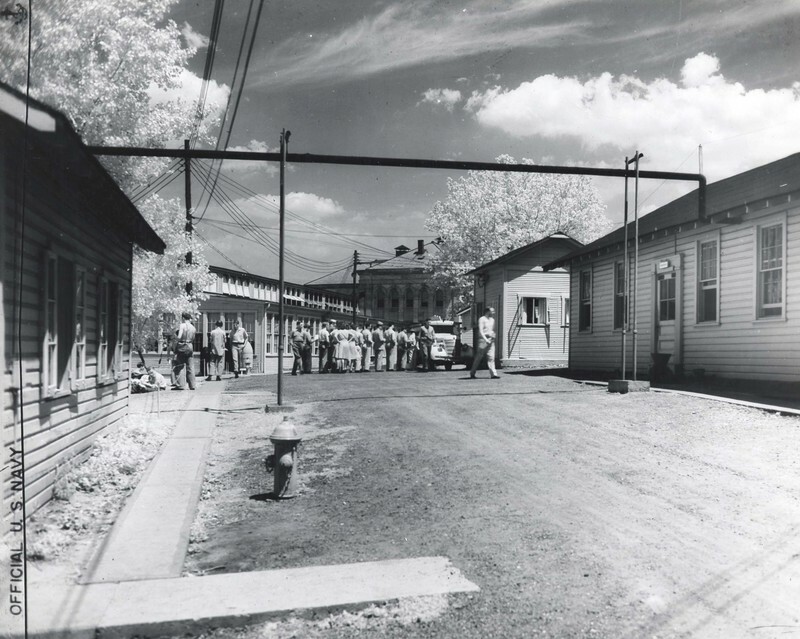 To accommodate the school, temporary buildings were erected, wire fences were put up, searchlights lit the sky, and ditches littered the south side of campus.